Mother Goose is missing from Rhymeland and it's up to Little Bo Peep and Mother Goose's son, Gordon, to find her. What is Rhymeland? It's the land of nursery rhymes created by Mother Goose. Problem is, if Mother Goose isn't around to keep the nursery rhymes alive, Rhymeland and its inhabitants will simply disappear. In this colorful, somewhat demented place, rock stars masquerade as Mother Goose characters and provide a whole new, if somewhat strange, perspective on classic rhymes. Little Bo Beep (Shelley Duvall) is first on the scene, seeking out Mother Goose (Jean Stapleton) to help her find her missing sheep. She and Gordon (Dan Gilroy) initiate a search that takes them on a tour of famous Mother Goose characters. Among others, Ben Vereen plays an amusing and incredibly flexible Itsy Bitsy Spider, Howie Mandel a punning Humpty Dumpty, Bobby Brown a fancy-footed member of the dancing Three Blind Mice, and ZZ Top the silent but ever helpful Three Men in a Tub. The search for Mother Goose follows a crooked road full of dead ends and full circles, eventually leading to the frightening "real world." Don't you wonder who the culprit will turn out to be? 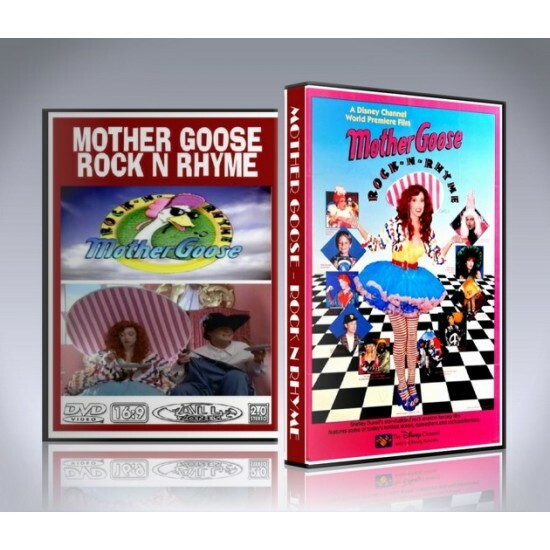 The Mother Goose Rock N Rhyme DVD includes custom artwork and DVD menu.